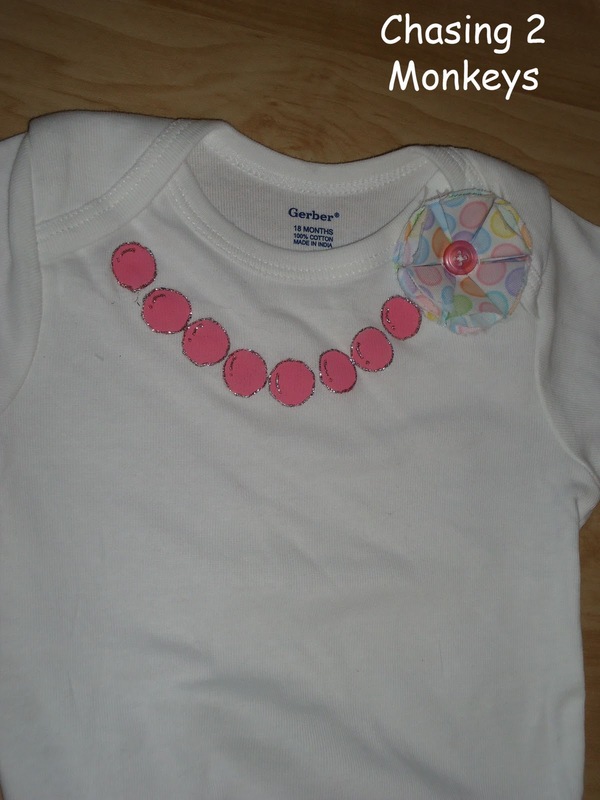 Chasing 2 Monkeys: 12 Days of pinterest: Day 10: Stenciled T-Shirts! 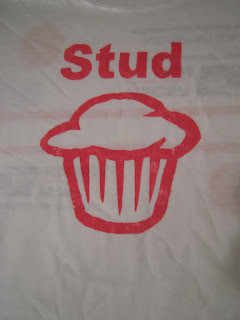 12 Days of pinterest: Day 10: Stenciled T-Shirts! Wow, I need to get on this! I really was going to try my hardest to make this series 12 consecutive days....but life happens. The original pin for today's post is lost in cyber space. So I had to search Pinterest for something similar. 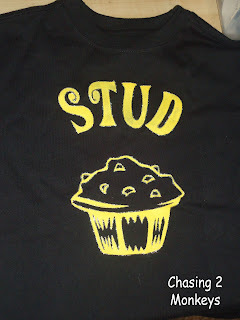 I had seen an image of the word "Stud" and a picture of a muffin below it. 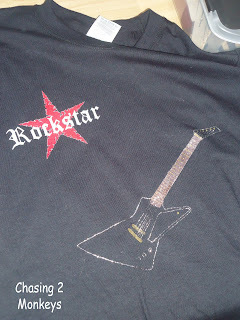 I thought it was really cute and had planned on making a stenciled t-shirt for my littlest brother out of it. But lo-and-behold, it disappeared from my pin boards. The t-shirt pictured below was done by lindyv321 and uploaded to the site Craftster. She said she got the stencil from Stencilry. It was made for Valentine's Day and looks super cute! Lindy also writes for her blog Crafty Like Lindy, and right now has LOTS of mouth-watering goodies and recipes for all to enjoy! I chose a black shirt and yellow paint with silver glitter puff-paint for the detailing. And decided to make it for one of our nephews instead. I found the image of a muffin searching through Google, and the font is one of the designs I have on MSWord. Here are a couple other ones I did as well. This is what I ended up doing for my little brother because he just recently got a new guitar (this style). I made the fabric flower for this one to finish off the "pearls" for our youngest niece. Great work!!! 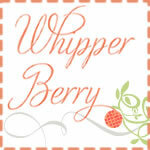 Thanks so much for featuring me and sharing my blog! I adore the pearl and fabric flower shirt. 12 Days of Pinterest: Day 12: Series "Wrap" Up! 12 Days of Pinterest: Day 9: Ruffle Necktie Tee! 12 Days of Pinterest: Day 8: Zipper Necklace! 12 Days of Pinterest: Day 7: Necktie Bracelets! 12 Days of Pinterest: Day 5: Sock Snowmen! 12 Days of Pinterest: Day 4: Pleated Headbands! 12 Days Of Pinterest: Day 3: Super Capes! 12 Days Of Pinterest: Day 2: Mug Cozy! 12 Days Of Pinterest: Day 1: Button Tree!